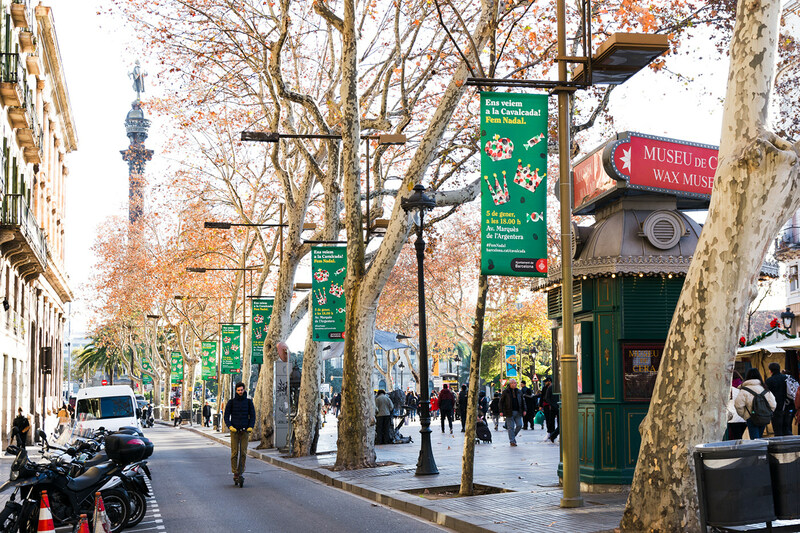 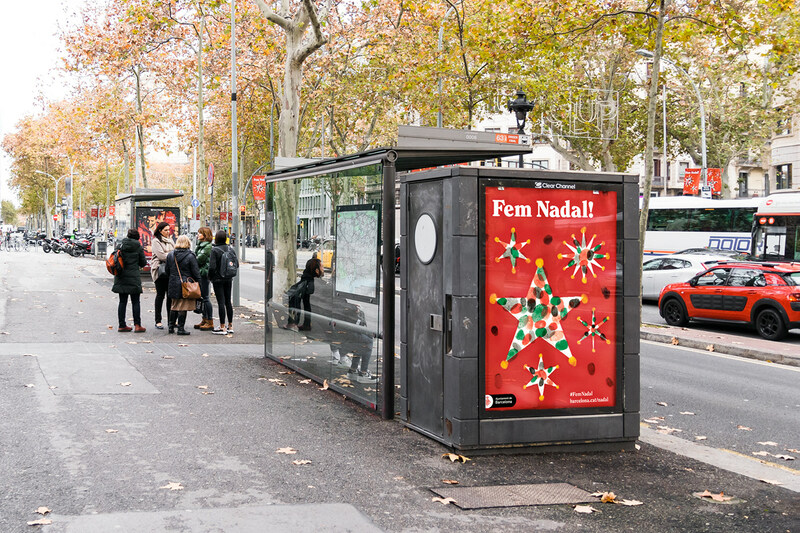 Barcelona’s Christmas campaign is meant to be a reflection of the city and its folklore: a pioneer metropolis that also fosters popular traditions. 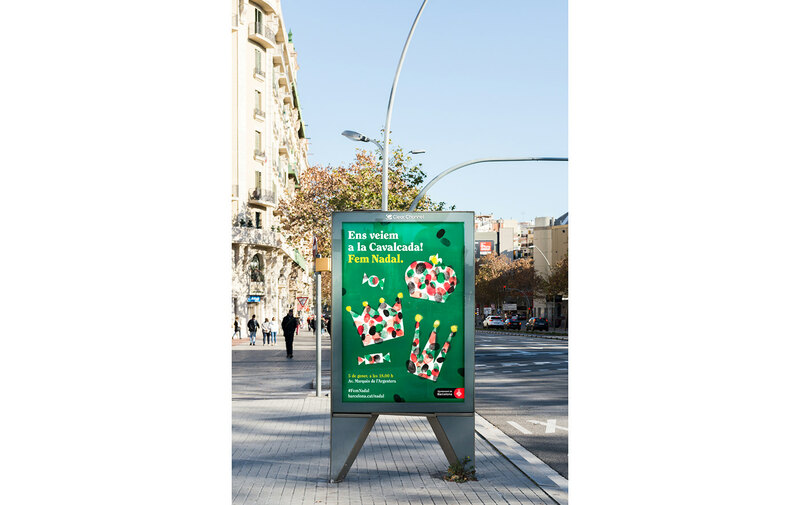 Its festive proposal seeks to express culture, inclusion and citizen participation. 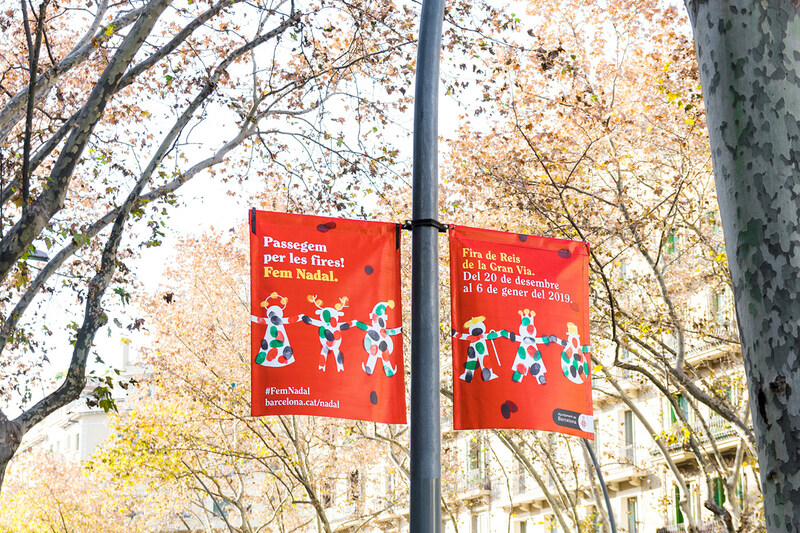 Under the slogan "Let’s make Christmas" we seek an authentic connection where the citizen is the protagonist. 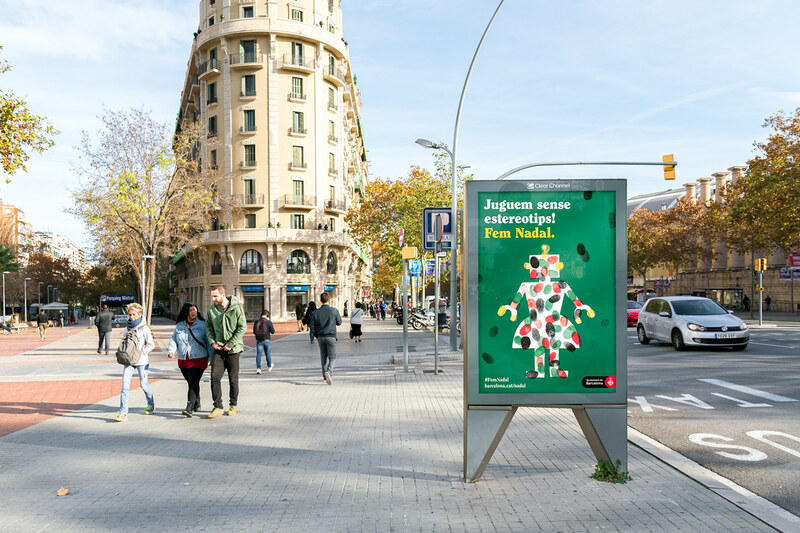 With a series of figures from the Christmas imaginary, we propose a game: to fill them with the fingerprints of all the neighbours. 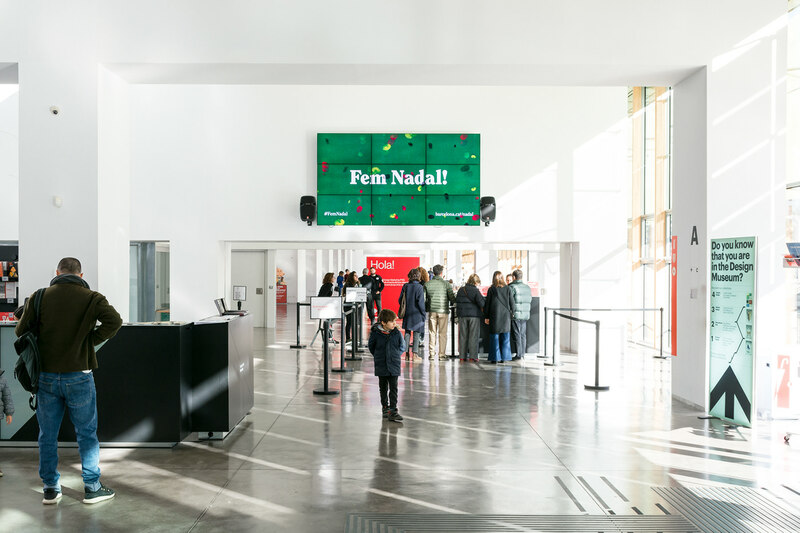 With a DIY style, friendly but contemporary, we give a new reading about Christmas that transmits citizen participation and diversity. 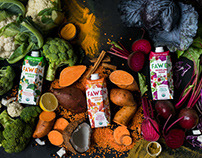 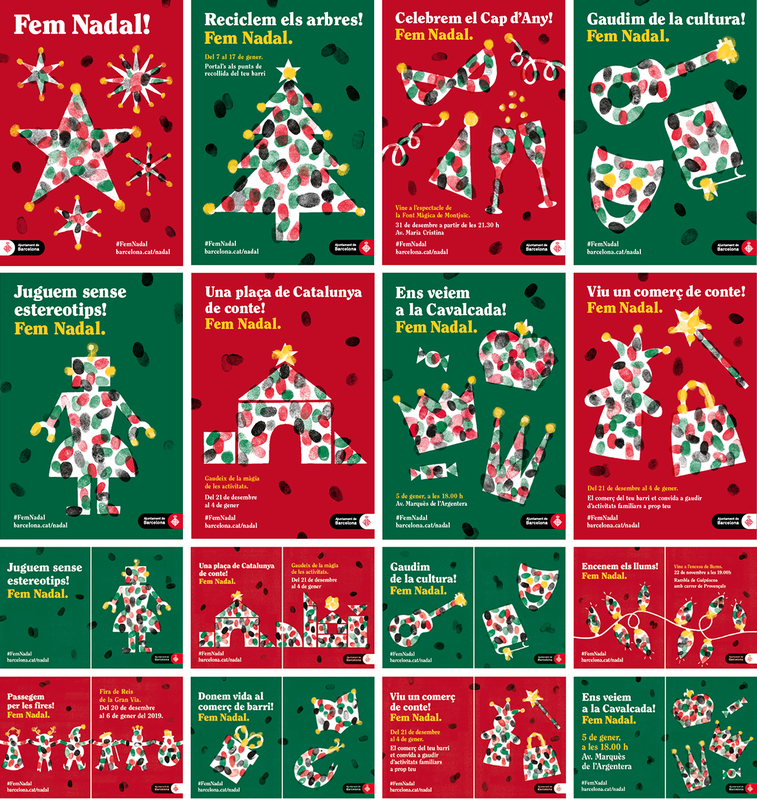 We designed several pieces: Opis, banners, posters, stands, buses, animations, radio scripts and a microsite where anyone can create its own online Christmas postcard by choosing a shape, filling it with fingerprints and sharing it. 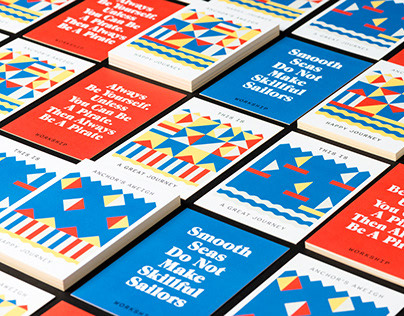 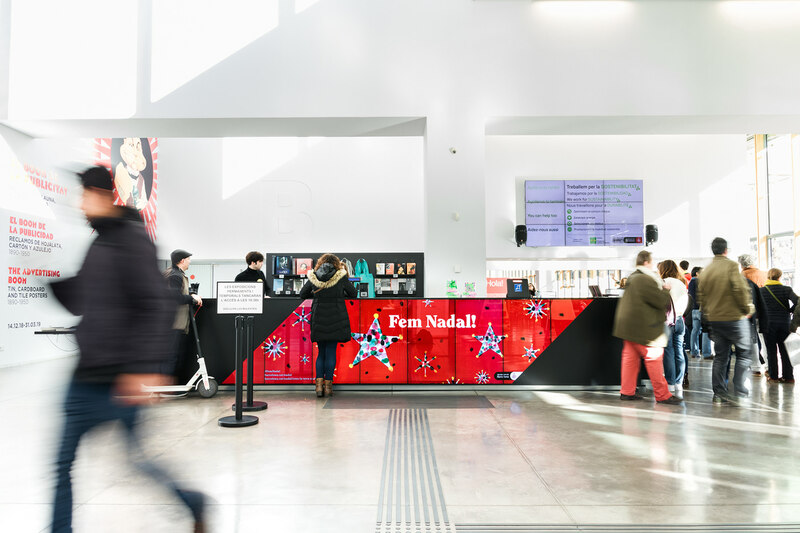 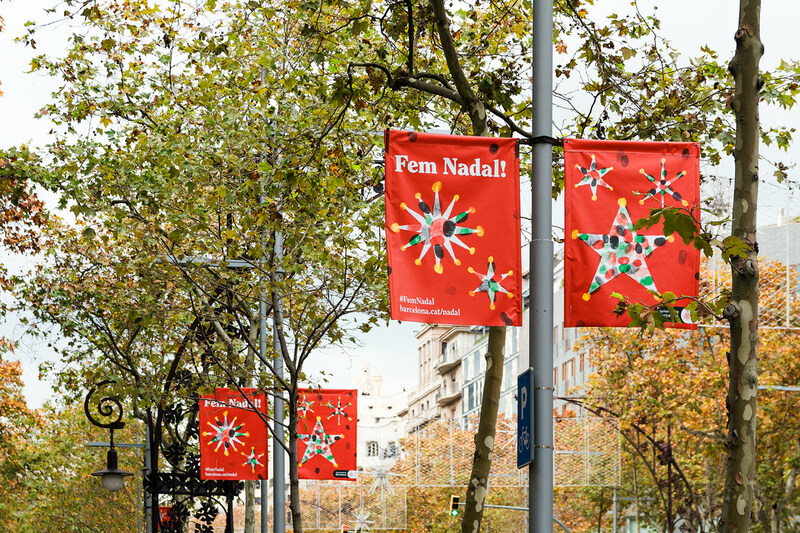 Christmas campaign for Barcelona's city hall, where playful graphics bring the community together.